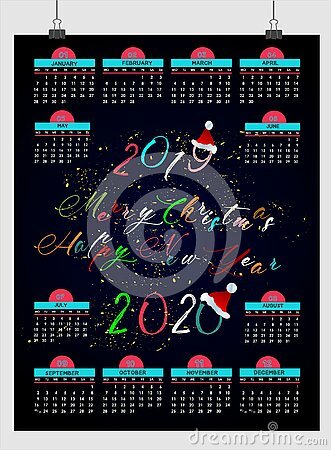 Set of 12 months, 2019 yearly calendar design with space for your notes and date. Glow light effect. Star burst with sparkles.Sun. Japanese tradition cloud styles. Vector illustration.